The Pay What You Want/Free (no art) version of the Microlite20 Comphrensive Edition is now available. Microlite20 is a tiny version of 3.x designed to allow use of 3.x supplements and adventures without all of the complex 3.x rules. In its raw form, Microlite20 and its more important optional and supplemental sections are a hodge-podge of short pdfs produced by different people and formatted however the producer of that section wanted. The Microlite20 Comprehensive Edition takes all this material and combines it in one document — all formatted the same and somewhat reorganized in places to make it easier to use. This Pay What You Want/Free “no art” version is 60 pages. 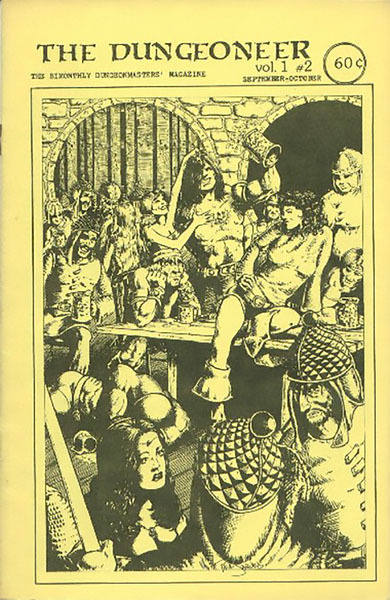 The actual rules include the following sections: Basic Rules, Basic Rule Examples, Expert Rules, Equipment, Spell Lists (Magi, Cleric, Illusionist, Druid), Monster List, Gamemaster’s Guide, Designer’s Notes (explaining the hows and whys of Microlite20’s design), Appendix A: Minor Rules Expansions, Appendix B: Microlite20 Martial Arts, Appendix C: Microlite20 Psionics, Appendix D: Rune Magic, Appendix E: Microlite20 Mass Combat, Appendix F: Microlite20 Mecha and Starships, Appendix G: Microlite20 Old School Style, and (of course) a copy of the OGL. Get your copy of the Microlite20 Comprehensive Edition (No Art) at RPGNow. 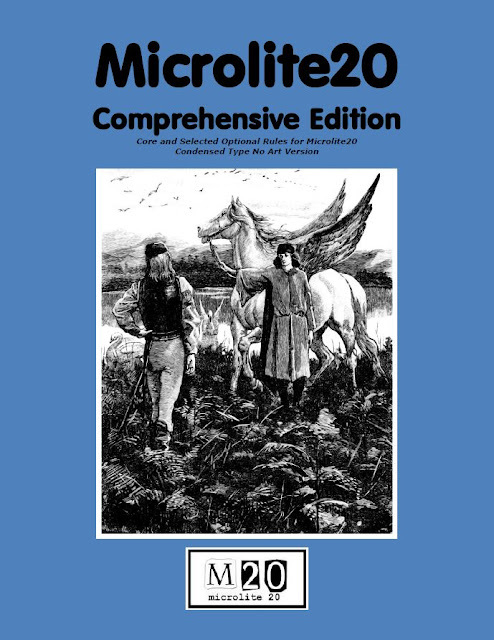 Get your copy of the Microlite20 Comprehensive Edition (No Art) at DriveThruRPG. Rob Kuntz has a New Blog!